Chicago Agent’s core audience is comprised of top-level real estate executives, brokers, and agents with all levels of experience, along with developers and mortgage professionals. Our bi-weekly magazine is delivered to hundreds of real estate offices in Chicago and its suburbs. 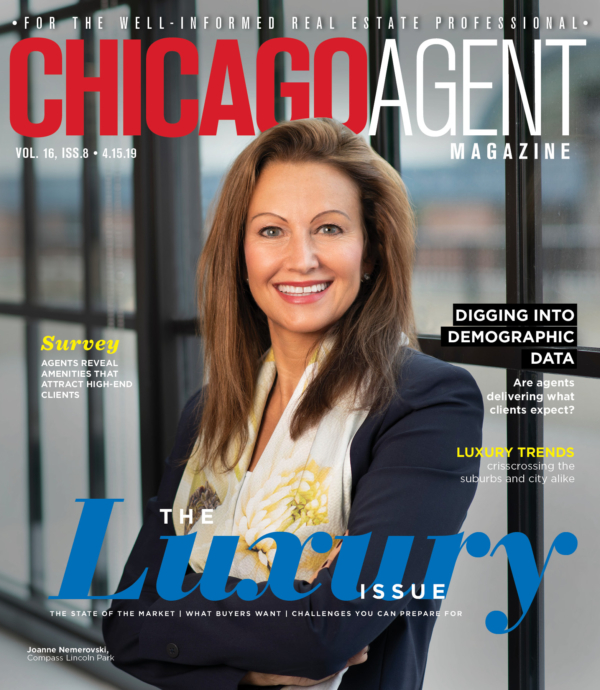 Each issue of Chicago Agent is distributed to thousands of Realtors, in addition to mortgage and financial professionals, and builders and developers.